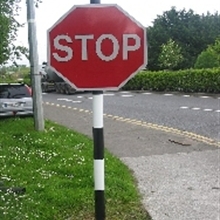 PWS offer plastic pole covers in a range of colours to suit the sign type mounted on the pole. 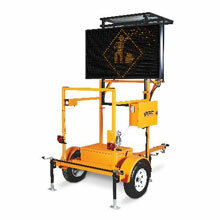 They are designed to offer increased visibility to the motorist as well as providing extra safety to pedestrians by making the sign post more visible. 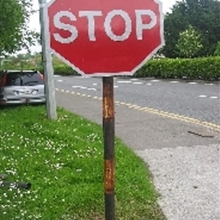 They also extend the life of older poles by giving them a fresh, clean look without the cost of replacing the pole. 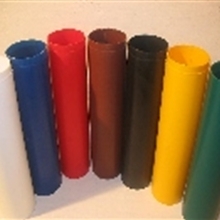 The pole covers are available to cover a 76mm diameter steel pole and are supplied in 300mm long sections. 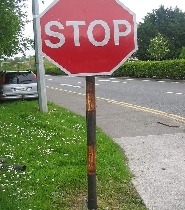 Each section fits snugly with the section below and giving a smooth finish when installed. 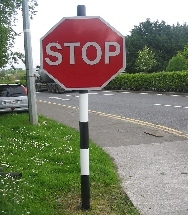 Post covers are durable and provide excellent visibility to pedestrians and motorists and are available in black, white and yellow, with other colours available by special order.